Sure this is a very simple meal, but with a few little twists to take a simple kids meal and turn it into a more robust and filling meal with lots of energy. In a large cast iron skillet, sauté onion and green pepper in vegetable oil for about 5 minutes, or until onion is tender. Stir in beans, corn, tomato sauce, chili powder, and mustard. 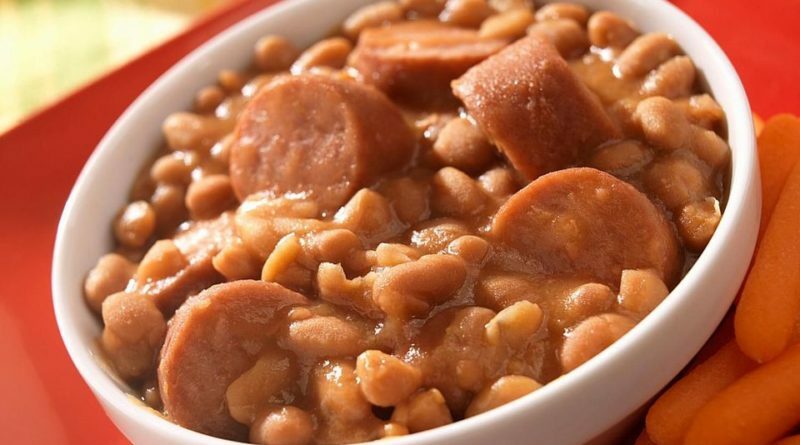 Add sliced hot dogs and stir to blend ingredients. Continue to cook until all the ingredients are to temp. Place cheese slices on top and cover with a lid or aluminum foil to melt the cheese. My personal preference is to have made a batch of cornbread to eat with this meal. Just hit the cornbread link to see that recipe.